The Kremlin oligarch and co-owner of the Yota company, Sergei Adoniev, whose Bulgarian passport was recently rescinded, has been investigated by the FBI for cocaine trafficking through the port of St. Petersburg. The Russian edition The Insider, one of Bivol’s partners in the Organized Crime and Corruption Reporting Project (OCCRP), reported on Thursday, January 24. Bivol conducted an investigation into the Bulgarian passport of this entrepreneur after the Bulgarian non-governmental Anti-Corruption Fund (ACF) alerted the Prosecutor’s Office without mentioning Adoniev’s name. Just days ago, the Bulgarian section of Radio Free Europe/Radio Liberty reported that Adoniev’s citizenship had been revoked at the last minute, following a notice that he had a conviction in the United States, something that the Bulgarian authorities have missed completely. The Insider adds to the news by reporting that Adoniev has been investigated not only for economic crimes but also for the trafficking of one metric ton of cocaine before turning into a billionaire with the support of circles around Russian President Vladimir Putin. “It was revealed yesterday that the Bulgarian citizenship of billionaire Sergei Adoniev has been revoked after the authorities in the country learned of the Russian oligarch’s conviction (convicts cannot acquire Bulgarian citizenship under Bulgarian law). The co-owner of Yota, Sergei Adoniev, known to the general public as a sponsor of Novaya Gazeta and of the election campaign of Ksenia Sobchak, had been arrested in the United States in 1998 after organizing a swindle scheme for the delivery of Cuban sugar to Kazakhstan,” The Insider writes. The said crime had involved one metric ton of cocaine seized on the Finnish-Russian border, causing wars between organized crime groups in the Petersburg region. Popov fled to Russia, where he was allegedly shot and killed shortly after. Rashkovan and Adoniev received effective sentences from a Los Angeles court. Adoniev then agreed to “voluntary deportation” to Russia. “The FBI documents testify that Sergei Popov and Sergei Adoniev are suspected in the trafficking of 1.1 ton of cocaine seized at the Russian-Finnish border in 1993,” Nezavisimaya Gazeta writes, citing the same Los Angeles Times. “It remains a mystery how and from where the former banana trader found funds for such investments, (if he, of course, traded only bananas)”, The Insider writes. However, the publication further points out that it is a known fact that since 2006 his personal patron is Sergey Chemezov, who has been running the Russian state corporation “Rostechnologies” or “Rostec” for years. “Chemezov is a former colleague of Putin from the KGB residentura in Dresden (GDR), and in 2008 (when according to the ACF and Bivol, Adoniev became a Bulgarian citizen), “Rostec” became an investor in 25% shares in Scartel,” The Insider clarifies, adding that at that time “Yota’s rise had not been met with enthusiasm by the other telecoms companies”. It describes an episode from March 3, 2008 at Yota’s office – where the top managers and key shareholders in all major Russian telecoms had gathered. Russian President Vladimir Putin, Sergey Chemezov and Yota’s founder Sergei Adoniev conclude the deal that made the latter an oligarch. “In recent years, Adoniev has been in the news not as an entrepreneur, but as a sponsor of such projects where not everyone would risk investing; projects that had no chance of being profitable,” the media writes, giving as examples the funding of the election campaign of the TV host and opposition candidate and in the 2018 presidential election, Ksenia Sobchak, and the sponsorship of Novaya Gazeta. The Insider cites journalists of Novaya Gazeta saying that Adoniev is a good investor and does not interfere in editorial policy. The editor-in-chief of The Insider, Roman Dobrohotov told Bivol that the Russian reader cares much more about the way Adoniev had accumulated his wealth that he had invested in Yota, Yota Devices and in the first Russian smart phone Yota Phone, rather than what foreign passport he has had. 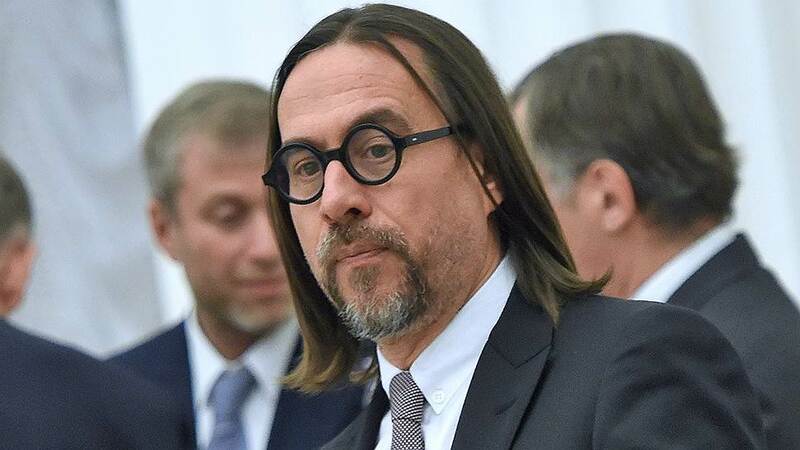 “What is important is that the financing of Adoniev, who enjoys Putin’s support, is with money of dubious origin,” the Moscow-based investigative journalist said. According to Dobrohotov, Adoniev’s career as a drug trafficker had continued in one form or another beyond 1993 through the activities of his companies up to the turn of the 21st century. Bivol recalls that 2008, known as the Year of Russia in Bulgaria, was marked by significant bilateral activity between the two countries. And Petar Mutafchiev, then-Minister of Transport, Information Technology and Communications from the BSP quota, personally requested citizenship for Sergei Adoniev, who had pledged to invest in Bulgaria’s telecommunication sector. In its investigation into Adoniev, Bivol pointed out that “although not quite an oligarch in Russia, citizen Adoniev, with his USD 800 million, inevitably ranks among the richest Bulgarians”. “His close contacts with representatives of the Russian business and State elite included in the US sanctioning lists should raise serious concerns in the “Russian Sector” offices of Bulgaria’s National Security Agency (DANS),” we wrote a year ago, not suspecting that the special services would really revoke Sergei Adoniev’s citizenship. This is the right move, not only because of the US conviction, but because Adoniev never invested anything in Bulgaria after all. We recall that Sergei Adoniev registered the company Sadko under his still-Russian passport at the end of 2007. Sadko’s capital is BGN 50,000 and it is supposed to be dealing with “telecommunication activities and services”. Only five months later, on May 23, 2008, Adoniev became Bulgarian citizen with Decree 56. The proposal came from Petar Mutafchiev. The reason, according to the Minister, was “a distinct intention to make large-scale investments”. Obviously, after the speedy acquisition of a European passport, Sergei Adoniev’s large-scale intentions never materialized as for the past ten years the registered in Plovdiv Sadko has not reported any activity, except paying health and pension insurance for one person. However, the issue with the Bulgarian citizenship of Sergei Adoniev’s wife remains open. According to Radio Free Europe/Radio Liberty he can still enjoy one of the main privileges that Bulgarian ID papers provide – the right of free movement in European Union member states because his wife, Maria Adonieva, also and still has a Bulgarian passport. She has acquired it under art 16 of the Bulgarian Citizenship Act for being “her husband’s wife”.